Are You Parenting From Fear? 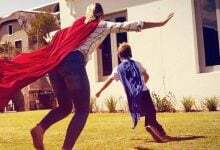 Home/Blog/Do These Common Parenting Fears Keep You From Enjoying Your Kids? What are you most afraid of as a parent? The list could go on and on. It’s valid to identify your fears and own them. But I invite you not to stay in fear-based parenting—for your own sake and your children’s. Parenting from fear can actually hide your child from you. Your fears come from either the past or the future. In other words, your fears are either unhealed wounds or worst-case-scenario worries. Your fears are never rooted in the present moment, even when they look like they might be. In those moments when you parent from fear, you are not seeing your child in the present moment. Fear robs you of the present moment. It prevents you from loving and honoring your child as they are. Not only that, but fear-based parenting puts all your focus on what you don’t want—which means you’re actually more likely to create it. I don’t want to do that like my parents did. 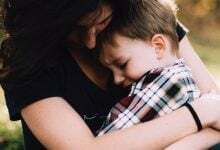 If your language or your thoughts often focus on what could go wrong, what you want to prevent, or what you don’t want your child to experience, you may be parenting from fear more than you think. It’s okay! Being aware is the first step to making a positive change. You can free yourself from fear-based parenting. Which family patterns are you afraid of re-creating in your own family now? What are the dysfunctional parts of your parent-child relationship? Identify them. Write them down. And then release them. When you get anxious, trying to prevent certain situations, consider the possibility that you may be afraid that undesired outcomes are all your fault. When you claim responsibility for all the outcomes of your child’s life, you put that child in a space of powerlessness. Teach your children, let them know your opinions and ideas, and then allow them opportunities to make their own choices. Allow them accountability for those choices, even for those that you don’t agree with. Stop spending so much time worrying about what you don’t want. Choose the parenting experience you do want to create instead. Write yourself a script for what you want to experience and the kind of parent you want to be. Then act on it as inspired and enjoy what shows up. Let me be clear: Choosing the experience that you want to create does not mean controlling your child’s behavior to be the way you want. You get to choose your experience, and your perception of your children, not control or dictate your child’s experience. Your child can help you live free from fear! Don’t let this post give you one more thing to fear… fear that you’ll be parenting from fear! The really great news is that your child gives you daily feedback that can help you identify your fears and release them. Children are emotional mirrors who can clearly reveal to us what we believe, think, and fear. You have incredible power to alter your thoughts! When you discover a thought or belief that is keeping you stuck as a parent, you have the power to change it. Start believing in the experience you want as if it already existed. It will exist sooner than you might think.